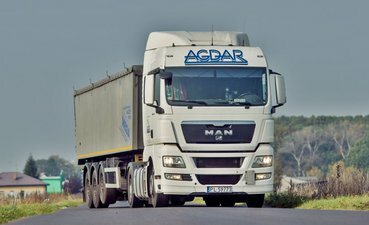 “AGDAR” Transport Services Company started its activity in May 1999. The registered office of the company is located in Kościan near Poznan, on the fifth route. 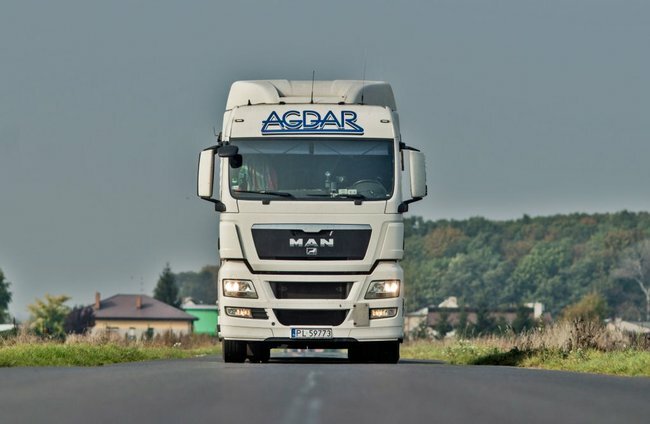 The “AGDAR” company has been conducting its activity in Europe since 2004. 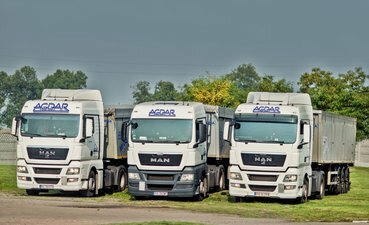 An important event for “AGDAR” took place in 2006 - we bought real estate, which complies with the European Law on owning a transport base. 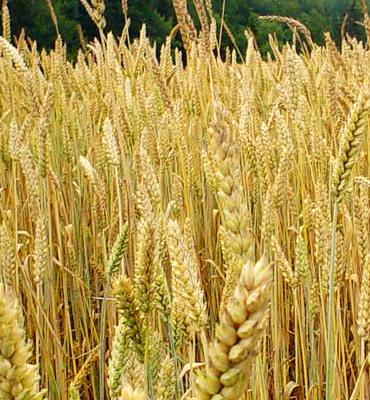 In 2010, the GMP+ standard was implemented in our company, thanks to which we provide high-quality services. 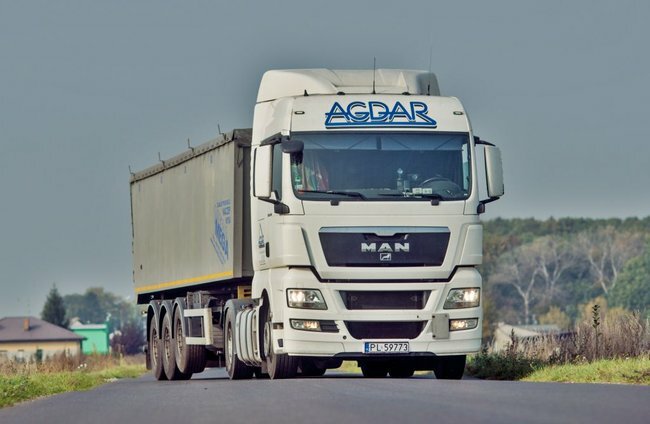 In 2013, we implemented liability insurance for carriers carrying out cabotage transport, thanks to which we can provide services on the territory of Germany and other countries of the European Union. 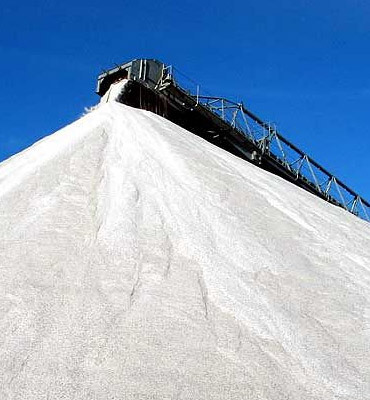 The company offers comprehensive customer service in the scope of bulk materials transportation. 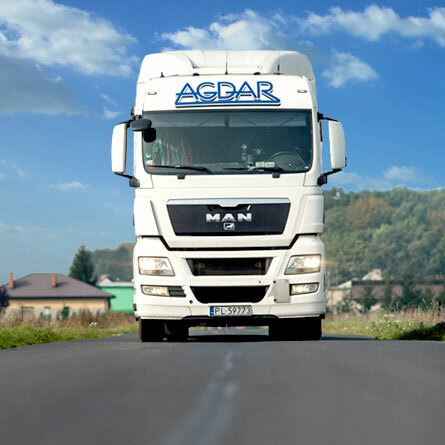 Taking all steps necessary to guarantee diligence of services provided and implementation of requirements according to the needs of Customers are the main aim of our company. 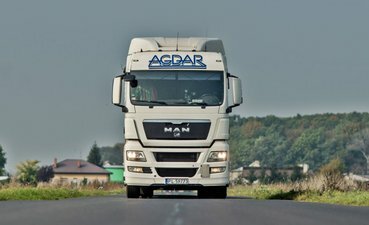 By looking after the reputation of our company, we employ only experienced drivers. 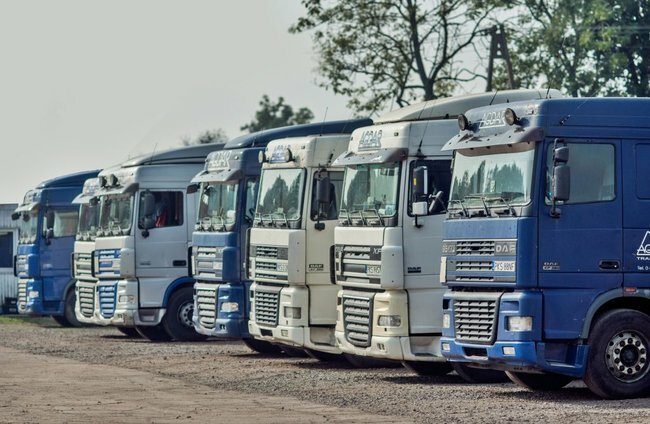 Our belief and confidence in their reliability, punctuality and compliance with safety regulations on the road constitute the reputation and trust our company receives. 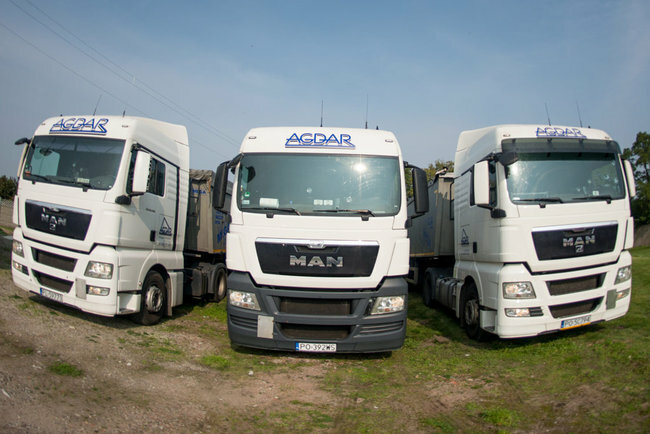 Environmental protection is very important to us, which is why we use the latest fleet. 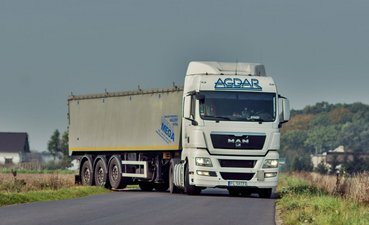 Our machinery park consists of modern tractor units with rear tipping semi-trailers (aluminium and steel) of a cubic volume from 40 to 50 m3. Our fleet is adjusted to transport and carry grains, mixed cargo and bulk cargo. 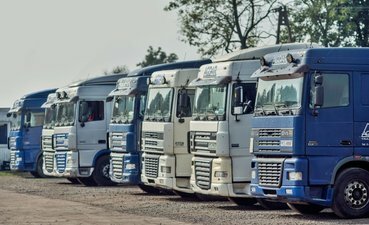 We also have documentation required for cabotage transport. 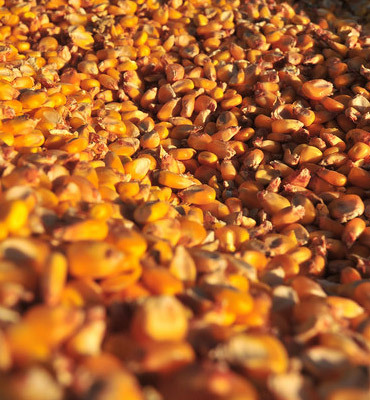 We always ensure purity of loading areas, which can be proven by the GMP+ certificate. 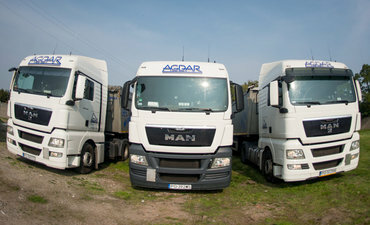 We provide our services to small and big companies and individual Customers. 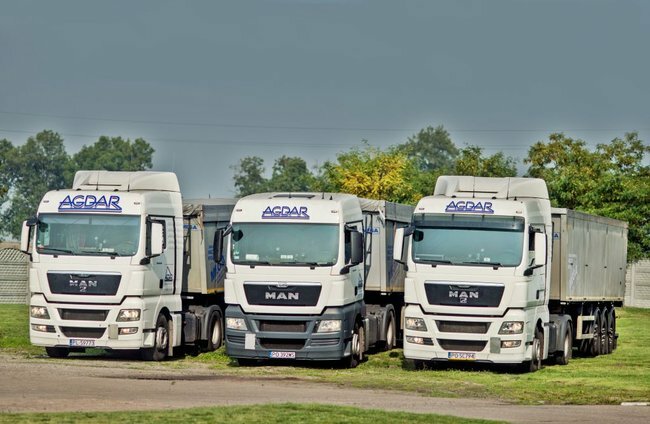 When cooperating with us, you can be sure that you will be satisfied in all respects. We are able to face even the greatest challenges.